Boston, San Francisco, Paris, Stockholm. Special Deren Programs hosted in San Francisco, CA; Gradisca, ITALY ; Paris, FRANCE ; Cuenca, SPAIN , Stockholm, SWEDEN, Busan, SOUTH KOREA and Cologne, GERMANY have contributed to and impacted this forum. This is the first international forum for those interested in the work of Maya Deren, U.S. avant-garde filmmaker and film theorist of the 1940's and 1950's.Deren used to say that her films cost what Hollywood spends on lipstick. Below are stills from Meshes of the Afternoon (1943) by Maya Deren and Alexander Hammid and At Land (1944) , with photography by Deren, Hammid, and Hella Heyman which feature innovating editing technique and cinematography: jump cuts, double exposure, and creative uses of temporarality through duration. The bottom two photos are positive images of the original negative used in Ritual in Transfigured Time (1946). See also film clips of Meshes of the Afternoon and Divine Horsemen , courtesy of RE:VOIR Paris, France . Gene Kelley consulted Deren about her work in 'choreocinema', or dance films which include A Study in Choreography for Camera with Talley Beatty in 1945 and Ritual in Transfigured Time with Rita Christiani , Anais Nin and Frank Westbrook and her 'tour de force' ethnographic footage shot in Haiti during the 1950's. In 1944 Maya made a film at the Peggy Guggenheim Art of this Century Gallery with Marcel Duchamp called Witches Cradle. Deren used the camera, as she envisioned medieval witches and magicians did, to 'defy' time and space through the disappearance and reappearance of objects. Based on an article written by Charles Duits (France) , colleague of Andre BrÃ©ton and an extra in Ritual in Transfigured Time , Deren compared medieval witches and magicians to the surrealists, and had a brief association with the movement. She resisted the label attached to her work and defended her position in scholarship and on tour for lecture/demonstrations. According to Paul Hammond The Shadow and Its Shadow: Surrealist Writings on Cinema , "It needs emphasizing that Surrealism's incompatibility with the partial, aesthetic program of the avant-garde remains a consistent one up to the present day. Critics who insist on pursuing the purely academic question of the Surrealist influence...on say, the American avant-garde of the 1940s and after (Maya Deren, Curtis Harrington, Kenneth Anger, through to Stan Brakhage and others) are straining after a gnat. Even if they overlook-as they usually do-the basic ethical incompatibility...they must be aware that...the Americans have never really got to grips with Surrealism, that the psycho-sexual obsessions of Anger, Harrington and Markopoulos, however 'oneiric' they may be, owe everything to Jean Cocteau, a lot to each other, and nothing to Bunuel." In An Anagram of Ideas on Art, Form and Film Deren cites Cocteau as one of her personal favorites, and Blood of the Poet was one of the first films she owned. Though she chose many names for her work:avantgarde, ritualistic, and chamber films, she never used surrealistic. With the Guggenheim Deren traveled to Haiti to make a creative film on Haitian dance and Voudoun cosmology. Deren wrote "Divine Horsemen, the Living Gods of Haiti " in 1953 which is considered a classic study as well. In 1946 she wrote "An Anagram of Ideas on Art Form and Film", an innovative treatise of the inter-relationship of science and art in the creative process. Maya Deren's ideas have been largely unexplored in film history. This web page is designed to be a public forum of the work of Deren and will include film analyses and events that celebrate her achievements in film, philosophy, ethnography and dance. Deren's films continue to become known to young film students and audiences all over the world. Her work has contributed to a renaissance of intertextual references in popular culture. More and more young filmmakers and artists find inspiration in her work. We can also witness her effects in mainstream pop culture and film such as the films of David Lynch and a music video by Milla Jovovich. Information on special Deren conferences will be posted so please let us know of any screenings and/or events. On this site books by Deren are listed which can be ordered or can be found in US and many international libraries. The best source of information on Deren's life with many of her articles and writing reprinted is The Legend of Maya Deren, Volume 1, Parts 1 and 2. See also McPherson & Company who has several sources available on Maya Deren. "The Legend of Maya Deren" is also available at many US and international libraries. Anyone interested in information on Maya Deren or contributing to the collection of work being assembled on this website please contact Moira Sullivan. 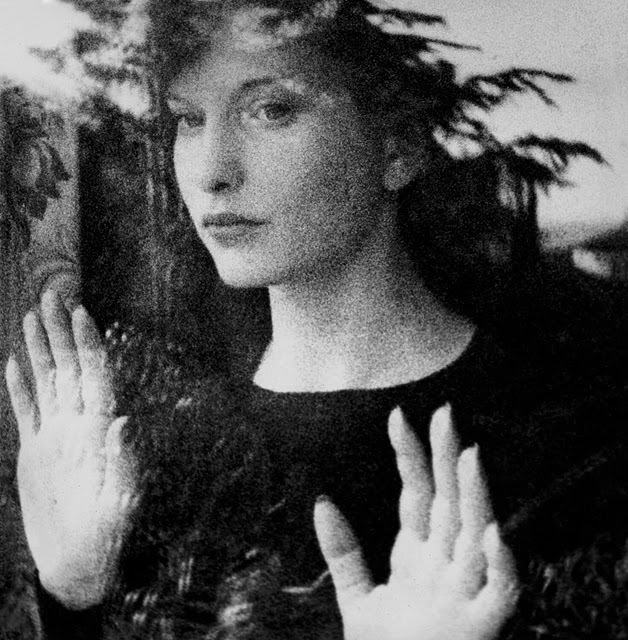 An international speaker circuit on Maya Deren for film programs, colleges, universities and educational institutions is available for those interested in learning more about the specialized and intricate work of this gifted artist. Previous programs have been held in Cuenca, Spain, Stockholm, Paris, Cologne, Gradisca and Udine Italy. You are invited to give feedback about this page. Keep in touch! All photos are copyright Boston University Mugar Library Howard Gotlieb Archival Research Center and may not be reproduced without permission. ©The Maya Deren Forum created by Moira and Jay Sullivan with discussions on the work of Maya Deren. Dedicated to news of women in the media by Moira Sullivan. Weekly, nationally-syndicated radio show which provides an entertaining & informative look at the film scene. The Maya Deren Forum was founded in 1993. Last update : November 5, 2018.